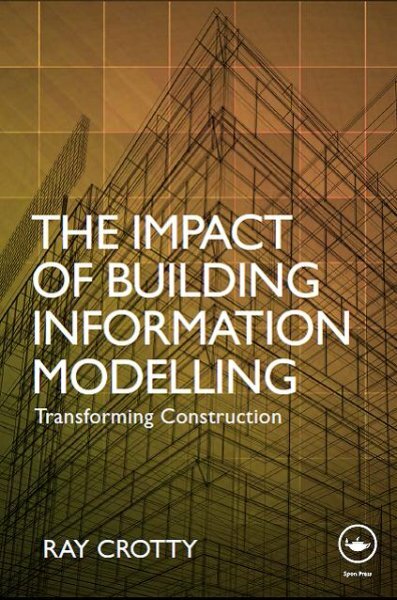 Following the publication of Ray Crotty’s recent book on Building Information Modelling, the company’s strategic emphasis, and therefore the main thrust of this website, have changed direction slightly. Over the past year or so the construction industry’s attention has tended to focus fairly narrowly on the idea of BIM as an upgrade to CAD – BIM simply as a more powerful way of producing better drawings. In reality, it’s difficult to see how it could be otherwise, as most of the active players in the BIM arena come from a CAD background, and most of the promotional investment in this area is being provided by the CAD / BIM vendors. However, there is far, far more to BIM than BIM-as-CAD, as Ray’s book argues. The exact way in which this bigger-BIM picture will unfold is difficult to predict, but there are clues in the history of earlier industry initiatives, and there are vivid lessons to be learned from many other sectors of the economy. Perhaps the key point is that this bigger-BIM thing will require that the discussions and decision making about how BIM might be exploited need to be opened up to a far wider range of industry players. BIM is too important to be left to the technicians alone. This opening up of the BIM discussion has become a central objective of ours. Ray’s book and most of this web site are dedicated to the task. Despite its very multi-faceted nature, construction has surprisingly few places where genuinely wide ranging viewpoints come together. We think the BIM discussion needs such a variety of inputs, so we provide opportunities and encouragement throughout this web site for people – from whatever part of the industry – to make their opinions known and to learn the views of others. The Ideas section of the website summarises our analysis of this situation. The section provides supporting material for Ray’s book and for some of his talks and seminars. Each of the sub-sections carries a feed-back / comments form, as blogs do. And the stand-alone Blog section does the same. So we encourage our readers to comment, to get involved. The Services section of the site summarises our active response to the current situation – the various forms of assistance and encouragement we can provide for our clients as they endeavour to get to grips with the BIM challenge. The Products section highlights the key features of our current and under-development software tools.